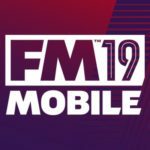 We’ve already shared with you an ultimate guide for Football Manager Mobile 2016, but even with that, there are still some things about the game we feel you should know about. Just as a refresher, this is SEGA’s mobile version of the popular football management game that was, and still is a big hit for PC gamers. You can choose your favorite countries/leagues in this game and manage your favorite club, choosing tactics for your players, setting your lineups, and playing the transfer and loan lists in search for players to make your team better. And you’ll be doing all that and more with the board in mind – it’s extremely important to keep your team’s board of directors happy if you want to keep your job. 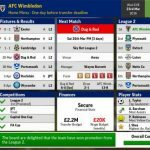 Two ways you can keep the board happy are by staying within your club’s budget and adding the right players, preferably those whom you can acquire at a bargain price. And that’s what we’re here to do right now – share with you a new Football Manager Mobile 2016 strategy guide, centered on which free agents and young players you should be targeting based on their potential and price. Free agents are players who currently aren’t affiliated with any club at the time of signing, which means anyone is free to go get them and sign them to their team. You might want to give some of these free agents a try, particularly if you’re not managing a big-name team and are in need of some fresh new talent. As it is with this list and others, we shall list the players’ names, positions, age, country of origin, and present team, which may not always be affiliated with the players’ home country. 1. Ricky Alvarez (AM RLC, 27 years old, Argentina) – Good Crossing, Dribbling, Passing, Technique, and Movement. Below average in Aggression and Leadership. 2. Demba Ba (AM/F LC, 30 years old, Senegal) – Good Shooting, Movement, and Strength, below average Tackling. Terrible Leadership stats (4 out of a possible 20). 3. Jefferson Farfan (AM RL, 30 years old, Peru) – Excellent Crossing (18 out of 20). Good Dribbling, Technique, Decisions, Movement, and Pace. Below average Aerial, Tackling, Aggression, and Positioning. Terrible Leadership (also 4 out of 20). 4. Yoann Gourcuff (AM LC, 28 years old, France) – Good Passing, Technique, Creativity, Teamwork, and Stamina. Below average Tackling and Leadership. 5. Kevin Nolan (M C, 30 years old, England) – Excellent Leadership (19 out of 20). Good Aggression, Decisions, Teamwork, and Strength. Below average Dribbling and Pace. 6. Ron Vlaar (D C, 30 years old, Netherlands) – Good Aerial, Tackling, Decisions, Leadership, Positioning, Stamina, and Strength. Below average Crossing, Dribbling, and Shooting. You want to save some money and get players who offer great bang for the buck. That’s the rationale behind our next list of players – these are players who cost less than €25 million but come with skills that exceed what you’d expect from their price. They won’t necessarily sink your transfer budget into oblivion, but would make your team better while allowing you to stay within budget. Well, at least if you’re not overspending in general, that is. 1. Karim Bellarabi (AM/F RLC, 25 years old, Germany, Leverkusen) – Priced at €8.75 million, club will ask for €13.5 million. Excellent Dribbling (a perfect 20), good Crossing, Passing, Shooting, Technique, Aggression, Decisions, Movement, Pace, and Stamina. Currently transfer listed, but it wouldn’t hurt to bid aggressively for him. 2. Ignacio Camacho (DM C , 25 years old, Spain, Malaga) – Priced at €8.25 million, club will ask for €24.5 million. Excellent Positioning and Teamwork (both 19 out of 20), also quite good in Stamina, Tackling, Aggression, and Decisions, no stats lower than 10. 3. Douglas (D C, 25 years old, Brazil, Dnipro) – Priced at €1.6 million, club will ask for €2.8 million. Excellent Positioning (19 out of 20), good Aerial, Tackling, Aggression, Decisions, and Strength. 4. Aleksandar Dragovic (D C, 24 years old, Austria, Dynamo Kyiv) – Priced at €2.7 million, club will ask for €9.75 million. Good Aerial, Passing, Tackling, Decisions, Positioning, Teamwork, and Stamina. Below average Crossing and Shooting. Feel free to bid, but expect some competition from other rival clubs. 5. Mike Jensen (M C, 27 years old, Denmark, Rosenborg) – Priced at €1.4 million, club will ask for €2.7 million. Good Aggression, Passing, Tackling, Decisions, Teamwork, and Stamina. 6. Inigo Martinez (D C, 24 years old, Spain, R. Sociedad) – Priced at €7.25 million, club will ask for €16.25 million. Excellent Tackling and Positioning (19 out of 20, also good Passing, Aggression, Decisions, Leadership, Teamwork, and Strength. 7. Nicolas Nkolou (D C, 25 years old, Cameroon, OM) – Priced at €6.5 million, club will ask for €19 million. Excellent Decisions and Positioning (20 out of 20), good Passing, Tackling, Leadership, Teamwork, Stamina, and Strength. 8. Lucas Pratto (AM/F RLC, 27 years old, Argentina, Atletico Mineiro) – Priced at €7 million, club will ask for €10.75 million. Especially good in Shooting and Creativity (18 out of 20), no stats below 10 out of 20 except Tackling (9 out of 20). 9. Alex Teixeira (M RLC, 25 years old, Brazil, Shakhtar) – Priced at €4.4 million, club will ask for €17 million. Excellent Dribbling and Decisions (both 19 out of 20), good Passing, Shooting, Technique, Creativity, and Movement. 10. Andriy Yarmolenko (AM RL, 25 years old, Ukraine, Dynamo Kyiv) – Priced at €5.5 million, club will ask for €10.75 million. Good in Dribbling, Passing, Shooting, Technique, Decisions, Leadership, Movement, Teamwork, and Stamina. No stats below 10 out of 20 except Tackling (8 out of 20). Wonderkids are, as the name suggests, young players (21 years old and below) with excellent potential for superstardom, and great statistics at the present. But here’s the thing about these Wonderkids – when you first start playing the game in the 2015/16 season, they won’t be that wonderful just yet. Sure, they’ll be quite good, with excellent performances for players their age, but in most cases, they’d be barely tapping their potential. For this list, we’re focusing on Wonderkids who cost less than €35 million to acquire, and again listing them with two monetary figures – their listed value and how much their club asks for them. 1. Domenico Berardi (AM/F RLC, 20 years old, Italy, Sassuolo) – Priced at €9.75 million, club will ask for €23 million. Best potential in Crossing, Dribbling, Passing, Shooting, and Movement. 2. Assane Gnoukouri (M C, 18 years old, Ivory Coast, Inter) – Priced at €5.75 million, club will ask for €24 million. Best potential in Passing and Decisions. 3. Leon Goretzka (M RC, 20 years old, Germany, Gelsenkirchen) – Priced at €9.5 million, club will ask for €34 million. Best potential in Passing, Creativity, and Movement, could potentially have all stats at 12 or greater three seasons into the game. 4. Balde Keita (AM/F RLC, 20 years old, Senegal, Lazio) – Priced at €8 million, club will ask for €21 million, Best potential in Crossing, Dribbling, and Movement. 5. Daniele Rugani (D C, 20 years old, Italy, Juventus) – Priced at €3.25 million, club will ask for €27 million. Best potential in Tackling, Decisions, Positioning, and Stamina. 6. Nelson Samedo (D/M R, 21 years old, Portugal, SLB) – Priced at €7.25 million, club will ask for €26 million. Best potential in Dribbling, Tackling, and Decisions. 7. Jonathan Tah (D/C, 19 years old, Germany, Leverkusen) – Priced at €5.25 million, club will ask for €24.5 million. Best potential in Tackling, Positioning, and Strength. Of course, you can go considerably cheaper than €35 million, so why not roll the dice on some Wonderkids who cost less than €20 million to acquire? Again, we’re basing things on their potential three seasons into the game (2017/18), and apart from the players in this list and the one before this, there are several other Wonderkids you can get your hands on and add to your club. 1. Riechedly Bazoer (D/DM C, 18 years old, Netherlands, Ajax) – Priced at €4.9 million, club will ask for €11.25 million. Has potential to be a good all-rounder with little to no weaknesses. 2. Doria (D C, 20 years old, Brazil, OM) – Priced at €6.5 million, club will ask for €20 million. Best potential in Tackling and Decisions. 3. Breel Embolo (AM/F RLC, Switzerland, Basel) – Priced at €6.5 million, club will ask for €15.5 million. Best potential in Dribbling, Pace, and Strength, but especially good potential in Stamina. 4. Yannick Gerhardt (M C, Germany, Koln) – Priced at €5.75 million, club will ask for €13 million. Good potential in Passing, Aggression, Decisions, and Movement, but excellent Leadership potential. 5. Ainsley Maitland-Niles (M RC, England, Arsenal) – Priced at €4.8 million, club will ask for €14.75 million. Best potential in Passing and Decisions, but you might want to watch out for his poor Leadership potential. 6. Morgan Sanson (M RC, 20 years old, France, Montpellier) – Priced at €7.5 million, club will ask for €16.75 million. Best potential in Teamwork and Creativity. 7. Youri Tielemans (M C, 20 years old, Belgium, Anderlecht) – Priced at €5.5 million, club will ask for €17.5 million. Best potential in Dribbling, Passing, Creativity, and Decisions.